The time for diplomacy is gone. The time for drastic action is now. We are calling for the best sniper in the world to join us as we take aim at evil, wherever it hides. This is not a game. There is no room for remorse here, so shoot to kill. • Unbelievable 3D graphics that will bring you to the near future, from urban skyscrapers to exotic locations. • Soldiers, armored vehicles, air units and many more enemy classes. 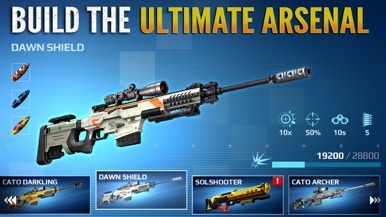 • Next-gen “bullet time” effects capture your every amazing sniper headshot. • Sandstorms, blizzards, rainstorms and other rich atmospheric effects. • Shoot sniper rifles, assault rifles, railguns and top-secret weapons. • Gather components to upgrade your military arsenal. • iPhone 6s users can enjoy 3D Touch when scoping enemies. 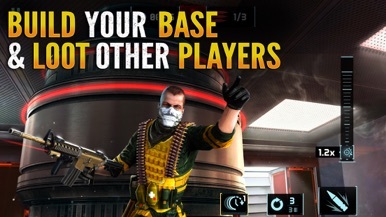 • Steal resources from other players by breaking down their defenses in PvP Multiplayer mode. • Build a strong squad to keep your loot safe in PvP Multiplayer mode. 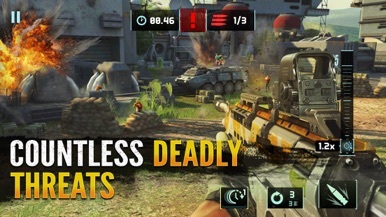 • Varied AI behavior makes each enemy unique and challenging to shoot & kill. • Extra rewards for joining the action in special events. • Earn a high enough score to enter a league and unlock rewards! Then check out who's top of your league on the Leaderboards. Guard your gold and secure your position using the brand-new SHIELD defence system. • Join or create sniper Clans to team up with other players. • Trade and share resources with your Clan mates to strengthen each other. • The group Chat lets you talk strategy and socialize with your allies. • Establish a home base for your Clan that members can help improve together. 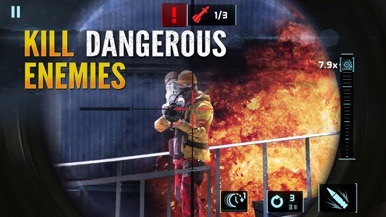 Clan HQ buildings can unlock loads of perks, including PvP boosts, Tier-5 Squadmates and much more. • Prepare for a new game mode where Clans go head-to-head in the ultimate showdown. Declare war, weaken the opposing clan's Reactor Core, and pillage resources from them! *IMPORTANT* Sniper Fury requires an iPad 2 (or newer), iPhone 4s (or newer), or iPod touch (5th Generation). iOS 9 and an Internet connection are required to play.